The Migrants returned to Belle Glade, Florida to see how much has changed in the ten years since Edward R Murrow reported “Harvest of Shame” in 1960. 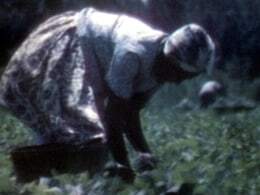 Reported by Chet Huntley and producer Martin Carr, “The Migrants” found that the poor working conditions for farm workers had seen little change in ten years. NBC News also found underage children picking oranges in Florida’s groves. Back then, the U.S. Subcommittee on Migrant labor estimated that 800,000 children work as farm laborers, half between 10 and 13. In 1970, 80% of migrant children did not enter high school.